Everyday we get lot of emails and phone calls asking if a particualr company is ISO certified? Callers normally provide only the website address of the company or simply name of company. We have given the steps to be taken by the customers of ISO certified companies here Identifying genuine certifications, for verification of certifications. We understand that it is very difficult for buyers / customers to go pillar to post simply to verify the genuineness of certification. We are therefore starting a new unique service to verify genuineness of the certificate or an organization’s claim for ISO 9000 or other certification. 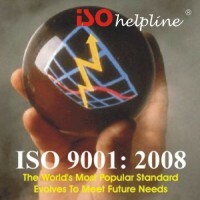 Write to us at support [@] isohelpline.com with following details. If certificate is not provided, we will write to company, if they do not respond in 15 days, we will presume their claim for ISO certification is false. If certificate is displayed on their website we will verify based on that information. If certificate copy is provided by you we will verify with certification body and accreditation body. Fees will not be refunded under any case, whether certificate is found genuine or false or we are unable to get proper information from the company, certification body, accreditation body or IAF. In all the cases we will provide you true facts and details of all responses. In some cases we will simply verify from our internal database or certification body database or accreditation body database. Develop Trainers. Call us or Do-It-Yourself. Download Train the Trainers PowerPoint Training Kit with notes. 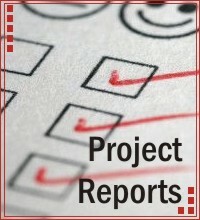 Do-It-Yourself standard template to make project reports to take funding from financial institutions, banks, venture capitalist or angel investor etc. ISOhelpline | Powered by Mantra & WordPress.